When you have those pancakes, french toast or waffles, why not top them off with Maine Maple Syrup. 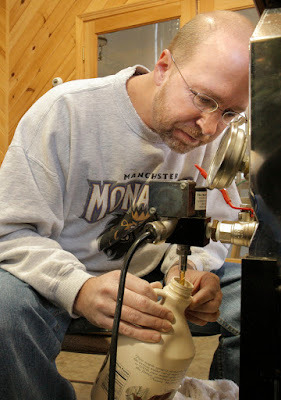 Maine is the second largest producer in the USA, after Vermont. In early spring, when the days are a bit warmer, but the temperature at night goes below freezing, the sap in trees and woody shrubs begins to flow. The sap of the "sugar maple" is what the producers tap. 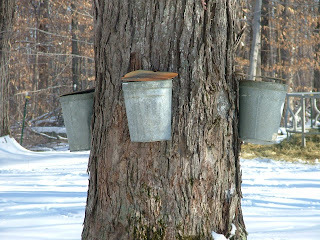 In the photo above are the old kind of taps, a hole is drilled into the tree and a spout is pounded in, the sap is collected in buckets for processing. The new and efficient way still requires a hole in the tree, but the spouts are of a different shape and are attached to plastic tubing. The smaller tubes at attached to larger tubes, and the sap is delivered to a holding tank at the processing facility. 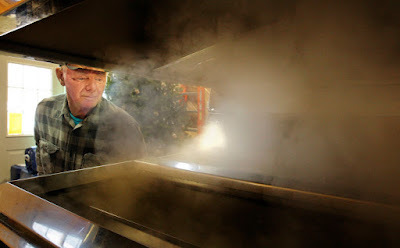 The sap is boiled and some of the water is evaporated - until the desired consistency is reached; you have syrup. 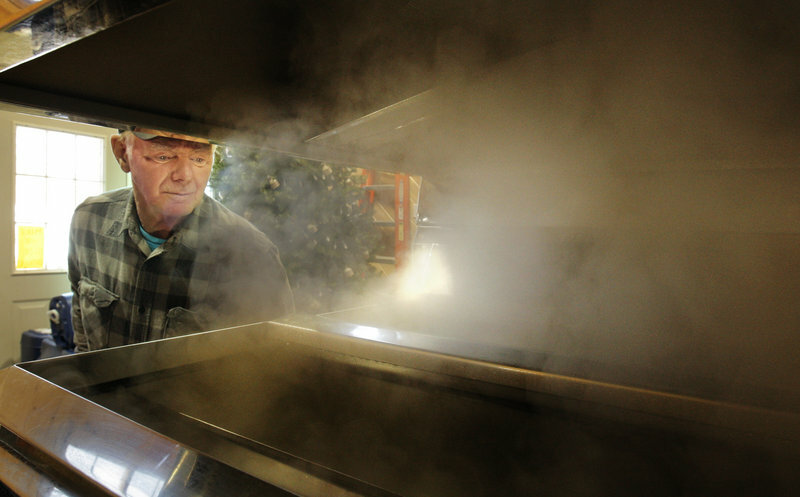 If the boiling continues the liquid is reduced to maple sugar, which is sold as is or processed further to make Maple Candy. There you have it; sweetness and light early in the day! Christmas trees were Balsam Fir..